I owe all of you an apology. Today’s post introduces my 50th Common Sense Investing video, and in all our time together, there is something I have never told you. Before anyone gets upset, don’t worry, I do invest in a portfolio of index funds. But they are not market-cap weighted. I’ve added extra exposure to small-cap and value factors to my portfolio. Why have I done this, and should you do the same? This sort of factor investing is not right for everyone. But it’s worth thinking about whether it’s right for you. Today, we’re going to take a deep dive into discussing all the gloriously gory details. In a market-cap weighted index fund, you end up owning a lot of large-cap stocks, because they make up most of the market. You also end up with a fairly even mix between value stocks versus growth stocks. (Value stocks have lower prices relative to their book value or earnings, while growth stocks have higher prices relative to the same). You can see all this in a style box analysis for XIC: mostly large-cap stocks, and an even mix between value and growth. Again, there is nothing wrong with capturing market returns by investing in a market-cap weighted index fund. But there is evidence that certain types of stocks within the market should be expected to do even better over time. Two examples are small–cap and value stocks. I know this may sound like active management, but hear me out on why it’s not – at least not in the sense of picking random stocks, without any rational evidence to explain why. Let’s start with the basics. Index investing is premised on financial markets being relatively efficient. In other words, based on a lot of information, the market generally prices stocks and bonds correctly, or as close to correctly as anyone can. We also know that higher risk generally indicates higher expected returns. That risk is reflected in prices and the way they move over time. Asset pricing models help us understand the relationship between risks and expected returns, and those models have improved over time. There have been a lot of breakthroughs in asset pricing and financial market research in the last 60 years, and a lot of these breakthroughs have been related to risk factors. Let me explain. Take two portfolios. One is 50% stocks and 50% cash, and the other is 100% stocks. We know they have different expected returns, due in part to their different exposure to the stock market. But how do you quantify the expected differences? Academics studied this question early on, and determined market beta (the stock market risk factor) explains about two-thirds of the difference in returns between different portfolios. So, if one portfolio delivered a 10% return and another delivered a 16% return, their relative exposure to market beta would explain about 4% (two-thirds) of that 6% return difference. When we talk about breakthroughs in asset pricing, we are talking about researchers discovering other risk factors beyond market beta that can consistently explain the rest of the return differences between portfolios. The more independent risk factors we discover, the more accurately we can explain the differences. Academic literature has documented hundreds of potential factors, but only a handful are generally accepted as being true (and practically applicable) stock market risk factors. The two we are talking about today are among the earliest identified: company size (small-cap vs. large-cap), and relative price (value vs. growth). I’ve talked about these factors in the past, but not like this. Today, we’re going to go deep. Any discussion on factor investing has to start with the original factor, market beta. In the 1960s, the primary asset pricing model was the Capital Asset Pricing Model, or CAPM. The CAPM looks at how much overall market risk an asset or portfolio is taking on, and measures it as market beta. A market-cap weighted equity index fund has a market beta of 1.0. It essentially is the market. A portfolio of 50% market-cap weighted equity index fund and 50% cash has a market beta of 0.5. If the market goes up 10%, the portfolio with a 1.0 beta would also go up 10%, while the portfolio with a 0.5 beta would go up half that much, or 5%. As I mentioned earlier, market beta is only able to explain about two-thirds of the difference in returns between diversified portfolios. What about the remaining third? Initially, the unexplained portion of return differences beyond beta was commonly attributed to alpha. Alpha measures a portfolio manager’s perceived talent for selecting outperforming securities or accurately timing the market. The idea of a portfolio manager bearing the same amount of risk while delivering a higher return is, of course, desirable. It’s too bad additional evidence has continued to whittle away at the likelihood that much, if any alpha actually exists. As such, alpha is like The Holy Grail of investing: Highly sought-after, but rarely seen. With an updated asset-pricing model including all three factors, it became clear that the higher average returns from small-cap and value stocks were not a result of active alpha. That is, they did not simply offer higher returns without any increased risk. The Fama-French three-factor model showed these two factors had higher average returns because they were exposed to different kinds risk, independent of general market risk. Improving on the CAPM’s ability to explain two-thirds of the difference in returns between diversified portfolios, the Fama-French three-factor model helps us explain 90% of the difference. Since then, there have been a few more breakthroughs, but we are going to stop at the three-factor model today. So why do we care about these risk factors, anyway? Each of them – market beta, size, and relative price (value) – have historically delivered meaningful risk premiums. Let’s take a quick peek at some of that data, based on understanding how each factor risk premium is measured. Market beta is the return of the market (a market-cap weighted index), minus the return of one-month Treasury bills (a risk-free asset). From July 1926–December 2018, the S. market premium was 6.28% per year on average. Size is measured by the return of small stocks minus the returns of large stock That’s why it is referred to in the research as SMB, or small minus big. For the same time period, the U.S. size premium was 1.88% per year on average. Value is measured by stocks with a high book value relative to market price, minus stocks with a low book value relative to market price. That’s why it is referred to in the research as HML, or high minus low. For the same time period, the U.S. value premium was 78% per year on average. you won’t receive those extra expected small-cap and value premiums. After Fama and French published their paper in 1992, some accused them of data mining, because they only looked at U.S. stocks. That criticism was promptly addressed with global data, which we now have at our fingertips. We only have data going back to 1990, but globally excluding the U.S., the market premium has been 2.31%, the size premium has been 0.08%, and the value premium has been 4.29% per year on average. In all cases, the premiums are positive, though clearly, some are more positive than others. Global ex US SMB is not that exciting with a premium of 0.08% per year on average. 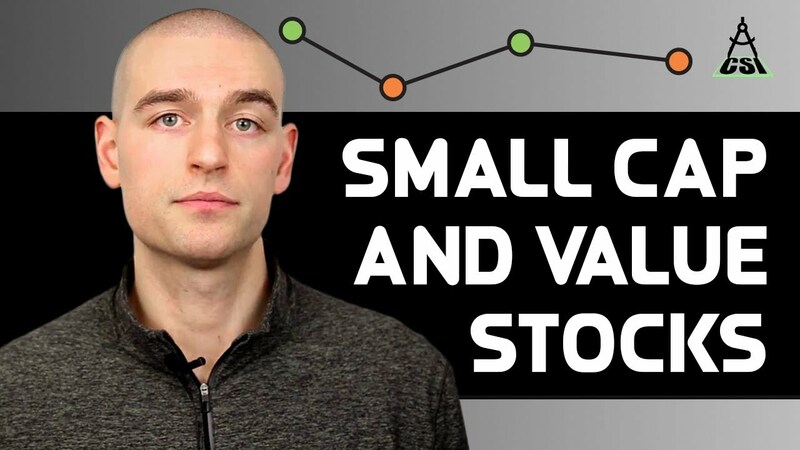 I addressed this in detail in my video “The Problem with Small Cap Stocks.” But in short, small-cap growth stocks with weak profitability have made small-caps as a whole look bad. If you take them out and focus on small-cap value stocks (which you can do with the right index fund), small-caps look much better. I want to talk a little bit about persistence. I have heard some skepticism about whether the size and value factors will continue delivering risk premiums into the future. I would argue that anyone who still believes in the market risk premium should also continue to believe in the size and value premiums. In the U.S., value stocks have historically been as likely to beat growth stocks over 10-year periods as the stock market has been to beat one-month Treasury bills. In Canada, value stocks have historically beaten growth stocks over 10-year periods more often than the market has beaten Treasury bills. Internationally, the value premium has been more reliable than the market over 10-year periods; and small-cap stocks have beaten large-cap stocks about as often as the international market has beaten treasury bills. is no reason to abandon investing in small-cap and value stocks. I think the data are pretty compelling. Deliberately tilting toward these factors isn’t the result of some casual whim. They play a crucial role in our understanding of financial markets, and they have been as reliable, if not more so, than the market as a whole at delivering positive risk premiums over time. Personally, I cannot ignore this data. So, let’s say you’re interested in gaining exposure to the other two factors in our three-factor model. This returns us full circle to our conversation about market-cap weighting. Remember, if you own small-cap and value stocks in market-cap weights – the same weights that they exist in the market – you only have exposure to market risk. To add exposure to the independent risks of small-cap and value stocks, you need to own them in weights higher than their market-cap weight. Practically, this means loading up on additional small-cap value and value ETFs, on top of your market-cap weighted ETFs. I have written about this in detail in my recent paper “Factor Investing with ETFs.” To summarize, there are some good ETFs for gaining exposure to U.S. small-cap value and value stocks. Adding these ETFs to a market-cap weighted ETF model portfolio increases its 20-year historical performance, improves its worst 3-year performance, and decreases its standard deviation. Unfortunately, there are no good ETFs to accomplish this for Canadian and international markets. As I touched on in my introduction, I am not saying everyone needs to go out and buy small-cap value ETFs to be a sensible investor. For many people, the simplicity of something like VGRO remains the best recipe for success – especially if keeping it nice and easy means you’re most likely to stay the course during volatile markets. I do firmly believe, though, if you’re already slicing up your portfolio in pursuit of lower costs or increased tax efficiency, it’s worth considering a specific, increased allocation to U.S. small-cap value and value stocks. It’ll increase your portfolio’s diversification, expected returns, and statistical reliability. In my recent paper, I proposed gaining meaningful, cost-effective exposure to the U.S. size and value premiums by building a factor-tilted ETF model portfolio of one-third XUU or ITOT, one-third IJS, and one-third IUSV for the U.S. equity portion of the portfolio. To be clear, I do not invest in this particular ETF model portfolio myself. I use Dimensional Fund Advisors factor-tilted index funds instead. I try to avoid talking much about Dimensional on this channel, because you can’t access their products unless you are a client of my firm or another firm with access to Dimensional’s fund line-up. My ETF model portfolios are my attempt to make factor investing accessible to any DIY investor. So, have I exonerated myself for being unfaithful to market-cap weighting by seeing other factors? Are you thinking of straying a bit yourself? Let me know what you think. Speaking of two-timing, if you’ve run out of Common Sense Investing videos to watch, you can also tune into weekly episodes of the Rational Reminder Podcast. I hope you’ll learn to love them both.